The Hannah Adams monument, carved by Cary & Dickinson, was the first monument erected at Mount Auburn, in 1832. Adams was the first woman in America to support herself by writing. She published several history books including a compendium of world religions. The monument was financed by her female friends who wanted to honor her life and achievements. 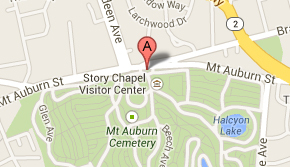 Alpheus Cary, also buried at Mount Auburn, carved many of the Cemetery’s early stones. The Adams monument was the start of a tradition of simple, respectful monuments celebrating the Americans who would become role models to future generations. These monuments glorified exemplary lives, especially those which reflected personal virtue or service to the community. 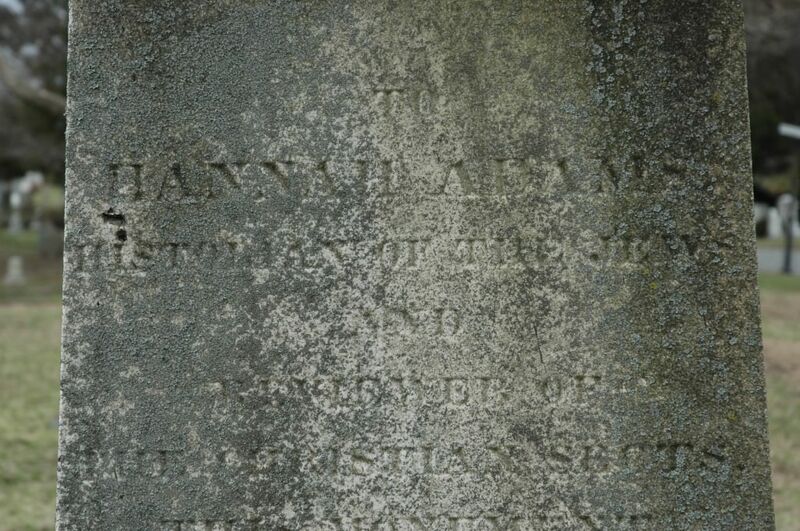 The inscription on the monument reads “Historian of the Jews and Believer of the Christian Sects,” in tribute to Adams’s work in recording history and religion. Though the monument incorrectly boasts that Adams is the first tenant of Mount Auburn– she is actually the ninth– hers is the first grave to have a monument, making this a cherished work within the Cemetery’s collection.